This cross-disciplinary exhibition features an expansive installation of more than 1,000 photographs created by collaborators Benjamin Freedman and Aaron Friend Lettner in Toronto and Edinburgh. Two side-by-side 16mm projections complement the photographic work. Evolving from a shared belief in the camera’s ability to heighten the experience of seeing into an engaged type of looking, the black-and-white images presented in The Pensive Spectator offer a diaristic account of the artists’ encounters in the world. 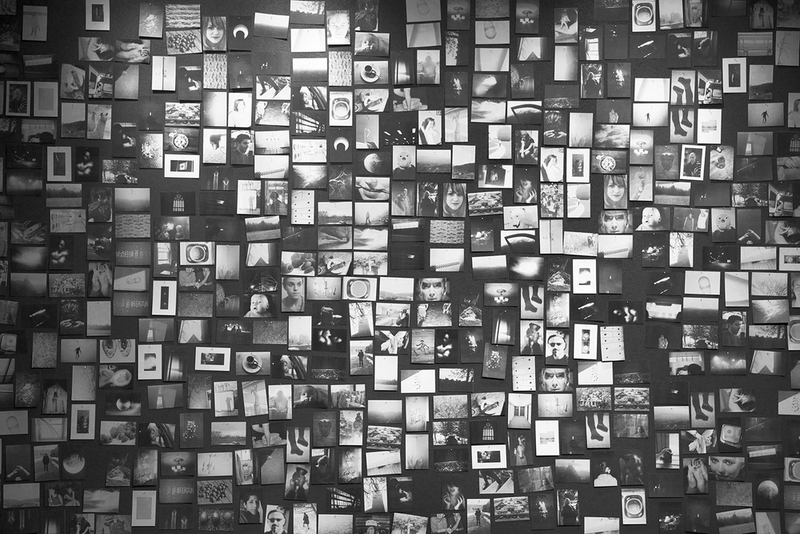 Viewers are invited to take photographs from the gallery wall as keepsakes and become participants by returning the photographs to the world in which they were created. The photographs, inherently motionless, become portable objects that can leave the gallery, while the films, which are always moving, remain anchored. The effect is a continual fluctuation of images that disappear and reappear throughout the length of the exhibition. This exhibition is the result of an award program presented in partnership with Ryerson University, Alliance Française, and the Festival. The Pensive Spectator was selected by a jury from proposals by third and fourth-year Ryerson University Image Arts students. Freedman and Friend Lettner were subsequently mentored by the Festival’s artistic project manager, Sabrina Maltese.